What if you could create journeys for your customers that made them feel special at the beginning, middle and end, throughout their entire journey with your company? 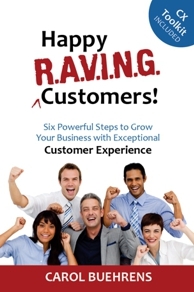 Wouldn’t your customers be raving about you? Interestingly, the average company spends a lot of money doing just this — right before customers actually become consumers. In fact, if you examine the entire customer lifecycle, a disproportionate amount of the budget is spent romancing and luring new prospects into becoming new customers. Most companies make sure that this is a delightful time, one that’s full of glossy brochures, razzle-dazzle and alluring promises. 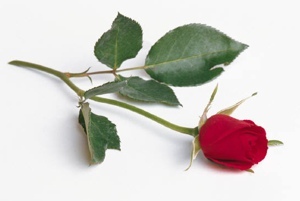 It’s like a first date with your customers, complete with roses and fine dining. It’s all about making them feel special so that they are “bought-in emotionally”, and they make the buy! The problem is, once the purchase is made, clients become ordinary customers. After they sign on the dotted line, there’s an invisible hand-off from marketing to operations and support. Here’s the kicker for your customers – the level of experiences that these functions provide are radically different. One day, everything is flowers and champagne. The next, the hard reality sets in and all the thrills are gone. Sadly, they are now “just another customer“. In raving customer experience terms, the marketing and sales period is only a tiny fraction, in fact the smallest part, of the overall romance your customer should have with your company! Instead — Imagine giving each touchpoint of your customer’s journey the same attention that’s given to seducing new customers! Here’s a few steps to get you started. Step 1 – Take a reality check. Map the journeys your customer are currently experiencing. Get these maps in front of everyone, and have them look for gaps in your services and disjointed interactions — the best and the worst of your brand value. Step 2. Talk to customers. Try to understand how they “feel”. Identify the peaks and the valleys of their emotional experiences. Find the truly enjoyable moments at which happiness runs high, and the low times when frustration, discontent or disengagement takes over. The high points are direct clues as to what your customers like and enjoy. You’ll want to reuse this “magic”. The low points are your opportunities for improvement. Step 3 – Involve your marketing and creative teams. Get them in a room for a brainstorming session. What are the tricks they use to continually engage and motivate “prospects”? Have them look for ways to use the same techniques and strategies to seduce your customers, even after they’ve signed the dotted line. Step 4 – Take action. Integrate the ideas into the journey. Take the opportunities you identified and add the WOW factor. Or, look for lifecycle lag moments and jump in to surprise and delight — it’s always better when a “gift” is least expected! These are just a few ways that you can improve the “marriage relationship” you have with your customers! In my new book, Happy R.A.V.I.N.G. Customers!, “Chapter 6. I = Innovate in Unexpected Ways” focuses on how you can exceed your customer’s expectations and develop loyal, raving customers.